From 2014-16, I was UX strategist for a team at Phase2 that worked closely with United Nations Office for the Coordination of Humanitarian Affairs (UN OCHA) to rethink and digitize the way humanitarian finance is tracked. As the UX strategist, I found that the team was dealing with a lot of highly complex ideas, and creating visuals that would clarify our shared vision was critical to reaching a shared understanding. Generally, I would live-diagram a first draft of our diagrams over a screenshare while collaborating with the team, then clean them up later. For instance, one day we to figure out, at a high level, what our first version looked like, and I quickly created this diagram. Here is a draft version of what the suite of tools we were building and what our “version 1” would encompass. One of the important aspects of tracking crisis funding is ensuring that the funds match the actual needs of the crisis. For example, a group of hurricane survivors will have different needs than victims of famine. The crisis response plan outlines the needs, and when funding is tracked, it should be tracked against the plan to determine how well humanitarian funds matched real-world needs. 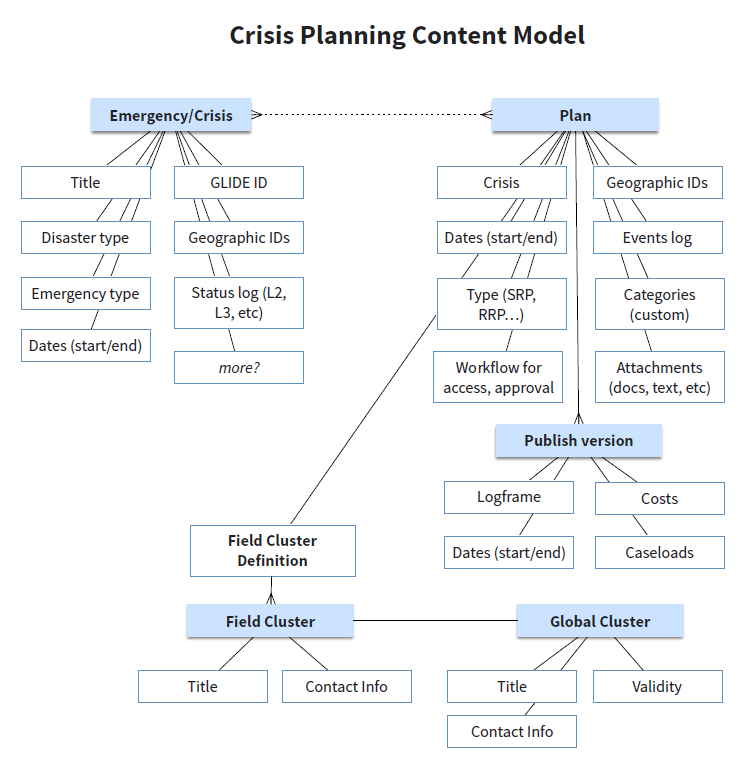 Unfortunately, crisis response plans were generally created in Microsoft Word and emailed around between crisis responders. 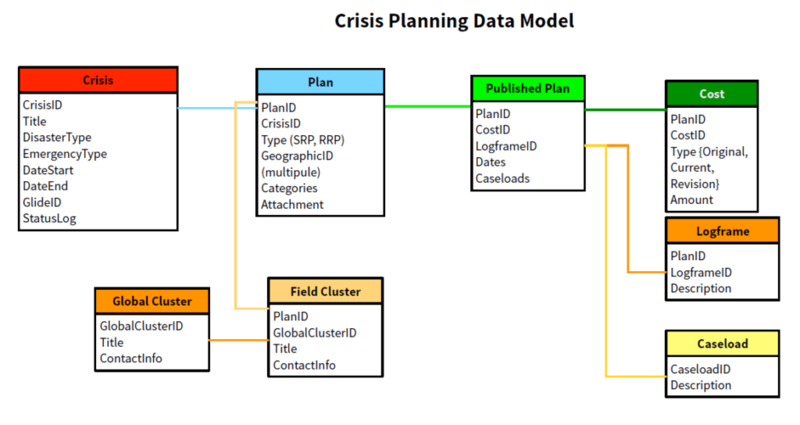 In order to make a crisis response plan that could be used as a metric for success, we needed to establish a data model. We spent a lot of time talking through plan needs with subject matter experts and live-diagramming the data model. Later I worked closely with the technical architect on the full data model. Following are some of those diagrams. The Financial Tracking Service used an outdated process to track humanitarian funds moving between governments and NGOs. Our digital transformation team worked together to determine what kind of transparency was desired by the public and engineer a data model and digital process that could better suit those needs. Sorry, this case study is still in progress. Please stay tuned for more.